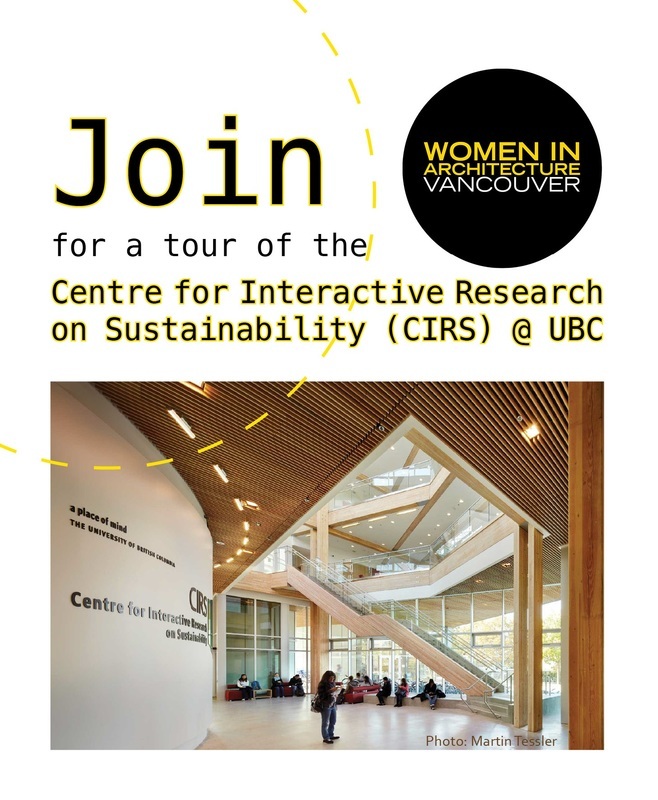 Join WIA Vancouver for a tour of the UBC Centre for Interactive Research on Sustainability (CIRS). CIRS is a building that has received much attention as a design at the forefront of sustainable building. Martin Nielsen and Alberto Cayuelo will lead a presentation and tour of the building, highlighting the design vision, goals and strategies for the project as well as providing an overview of operations and building performance. NOTE: Please register only if you are certain that you will attend. If your plans change and you are unable to come to the event, please update your RSVP, give us at least 24 hours notice so that someone else from the group can take your place.